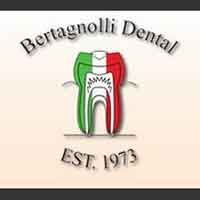 The dentists at Bertagnolli Dental specialize in cosmetic and general dentistry for you and your family. From the moment you walk through the door, you will be greeted by our courteous staff. If you are looking for a cosmetic dentist in Westminster, we are the office to call. The decision to have cosmetic dentistry is a big one. As a cosmetic dentist, cosmetic dentistry can improve your self-image resulting in a new surge of self-confidence. It will improve the quality of your smile. We also have a comprehensive list of restorative and general dental care services to meet the needs of your entire family. You will always receive the personal attention you need to get the best dental care. Call our office today and experience modern dentistry at its finest. If you need a cosmetic dentist, call and schedule an appointment today.